I'm glad some of the folks from over at the SE boards and other locations have made their way here to continue on the legacy that is Nosgoth! So from me (and no doubt the rest of the team) I'd just like to say a very big WELCOME to the board and I hope you have happy posting in your time here! I'm pretty sure most of you have seen me lurking about various locations throughout the years, but if you haven't, well I'm Lucy Lucinvampire and its nice to meet you! I've been a massive Legacy of Kain fan since I first got Blood Omen back in 1997 and my love for the series hasn't stopped throughout the years. I really enjoyed playing Nosgoth since it's Alpha days even though I spent most of my time stuck in possibly every tree there was back then, and well basically I sucked so bad at the game I just ended up a punching bag for everyone. Nosgoth was my first ever experience of a multiplayer game like this, and I have to say without it's existence I would have never of met so many awesome people! I'm very sad (that is like the biggest understatement going) that Nosgoth has come to an end, especially though before it made final release. So what's going on now? 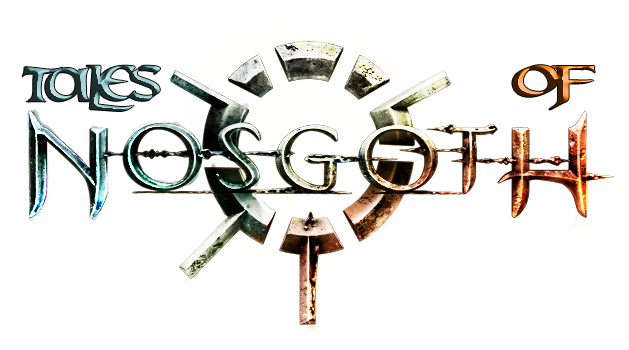 Well I've teamed up with the gang here, to hopefully help out continuing Nosgoth and its world, even though maybe not playing it, we can still all remember it because its just AWESOME. I decided to create the Tales of Nosgoth (previously Legacy of Nosgoth) Facebook Group and the legacy website (with the help of Varulven) which is hopefully coming very very soon, so soon in fact I could lick it! I hope over the coming months and probably years that it will grow to be something fans of the game can have a browse over and remember the good old days. I'll also be uploading lots of pictures and videos to the site and Youtube as well as all the official stuff so please do stay tuned. And...if you have anything you would like to submit please just give me a shout! Nice to meet you Lucinvampire. Hello and thank you for creating the board and FB group!